While in an airport, in 1974, a chance glance at a military parachute duffle transformed easy function into luxury fashion. Inspired by the durability of the military material, the first LeSportsac bag was sketched, sampled, and hand stitched in a small New York City factory, giving birth to what would become America’s leading brand of nylon bags. Forty years later with its signature lightweight rip-stop nylon and iconic logo ribbon, LeSportsac has become internationally recognizable. 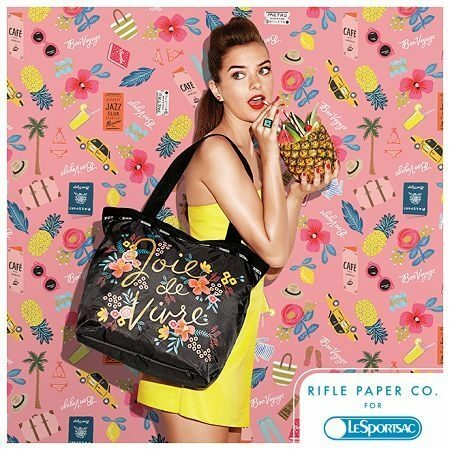 Featuring stripes of every color, hearts in all its forms and dots of every dimension, LeSportsac continuously produces one of a kind prints and colors. 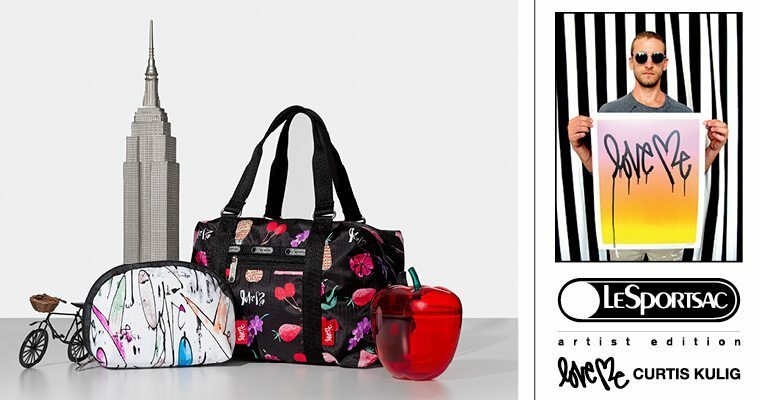 Collaborations with designers like Stella McCartney, Jonathan Adler, Diane von Furstenberg, Joyrich, Tokidoki and Gwen Stefani have made LeSportsac an American Icon. Available in a variety of styles including totes, wallets, makeup/cosmetic bags, backpacks, diaper bags, travel bags, accessories and more. LeSportsac is a true lifestyle brand, whether for makeup or toiletries, a night out or day shopping, an overnight trip or extended travel, an hour of yoga or an hour of work. LeSportsac is all you need to go. Come shop our selection of LeSportsac. In additional to stocking the basic colours and styles, we carry limited edition collections such as Benefit Cosmetics, Dylan’s Candy Bar, Erickson Beamon, Manoush, as well as the Men’s LeSportsac collection. 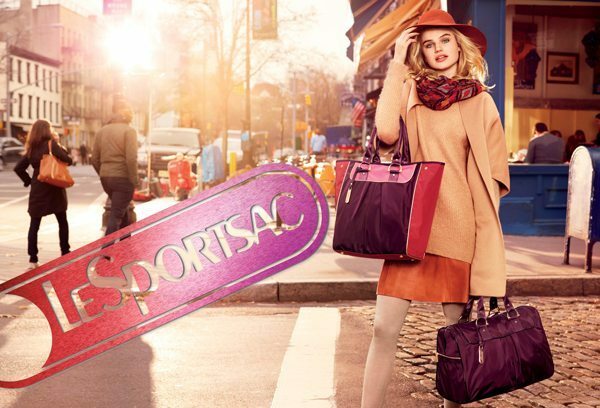 Functional, fashionable & chic lifestyle bags – WE LOVE LeSportsac!! !